Styled with '90s bergman tank and the workwear jacket . 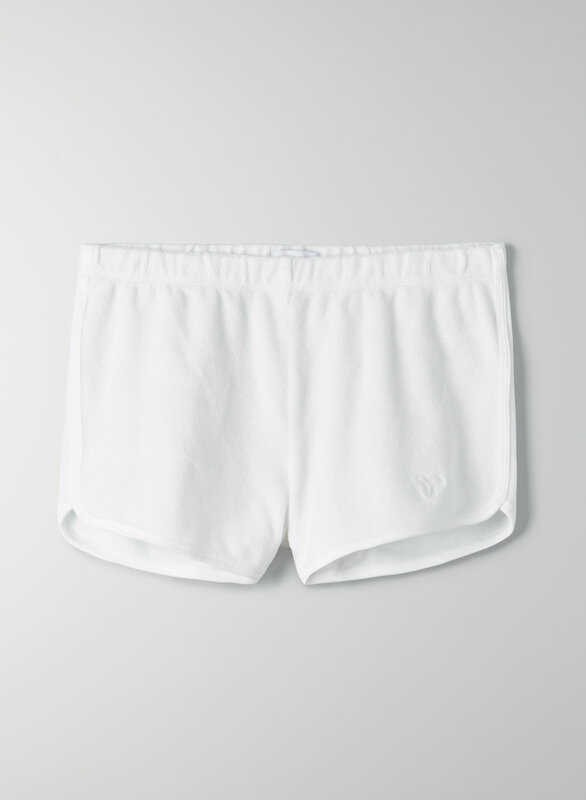 This is a running short with a shaped hem and elastic waist. It's made with a soft and lightweight terry towel fabric.